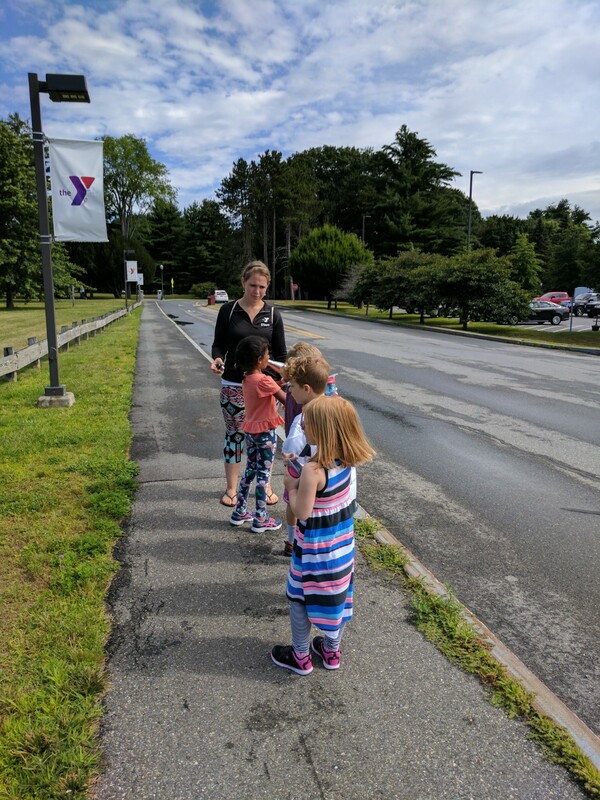 On July 26th, The Kennebec Valley YMCA’s Summer Pre-K program participants took a short guided walk to evaluate walkability in our community. 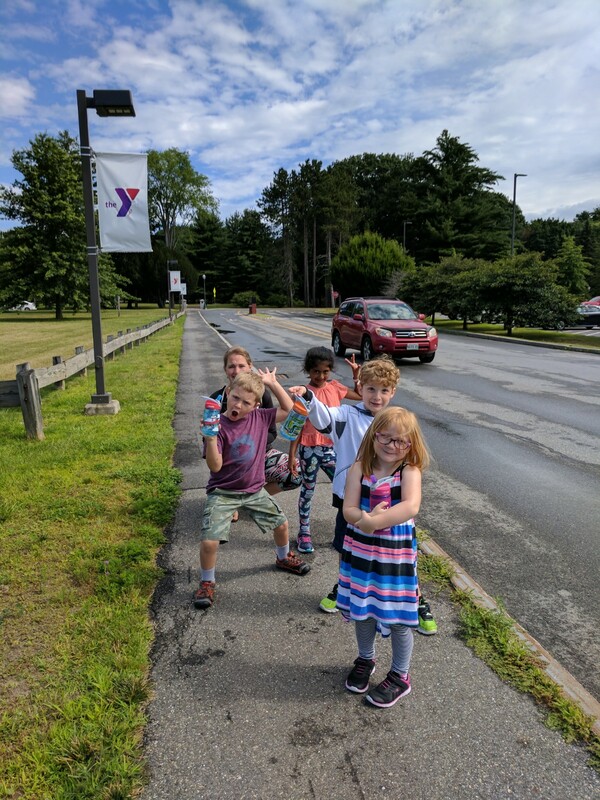 The Children walked on three roads surrounding the KV YMCA, located at 31 Union Street in Augusta. 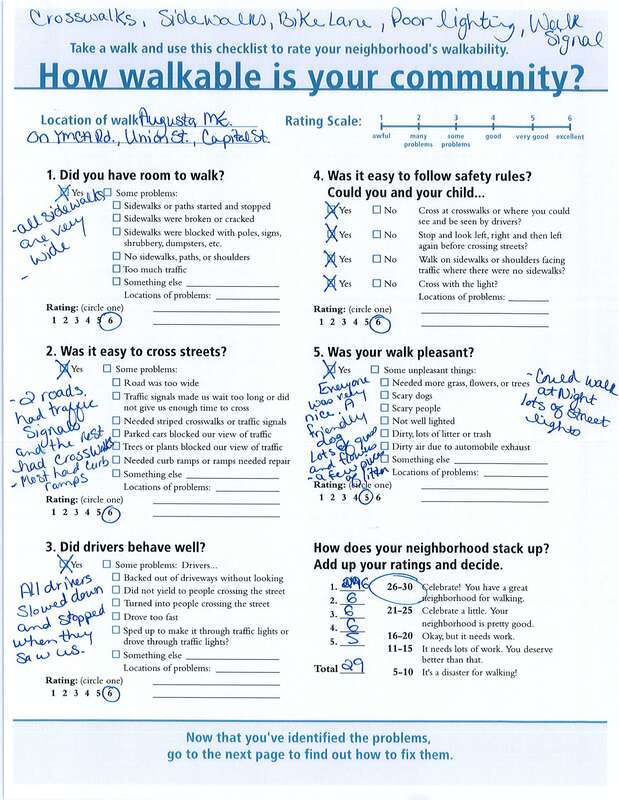 They, with help from adult staff, observed what features were available to make walking safe and enjoyable. In particular, the group was reviewing: walking room, visibility, traffic, street crossings, variables that would impact safe walking rules/protocol and the pleasantness of their walking environment. You may be asking yourself some questions? Why the interest in walkability. Why is walking and walkability so important? Increasing physical activity through walking not only has a positive impact on the community by getting people out and about but has health benefits as well. Walking is a great way to maintain an active lifestyle. Chronic diseases, such as heart disease, cancer, and diabetes continue to be leading causes of death and disability among Americans and major drivers of health care costs in our country. While there are many things that can be done to reduce rates of chronic disease and disability, physical activity has been shown to be one of the most important things people can do to improve and maintain their health. Yet, according to the Centers for Disease Control and Prevention (CDC), 3 out of every 10 adults in the United States are inactive. Motivated by the understanding that people are more likely to walk in pleasant and safe environments our group set out to identify any walkability gaps. 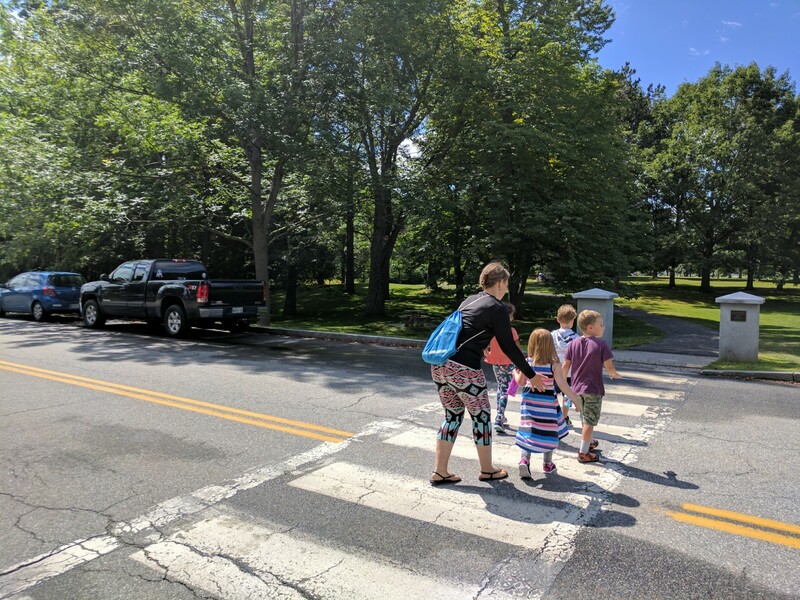 We determined that Union Street, Capital Street and the street leading to the KV YMCA are all designed to make walking safe and easy for people of all ages and abilities. In fact, our study yielded very positive results, scoring a 29 out of a possible 30 for walkability! So let’s recap what we know. 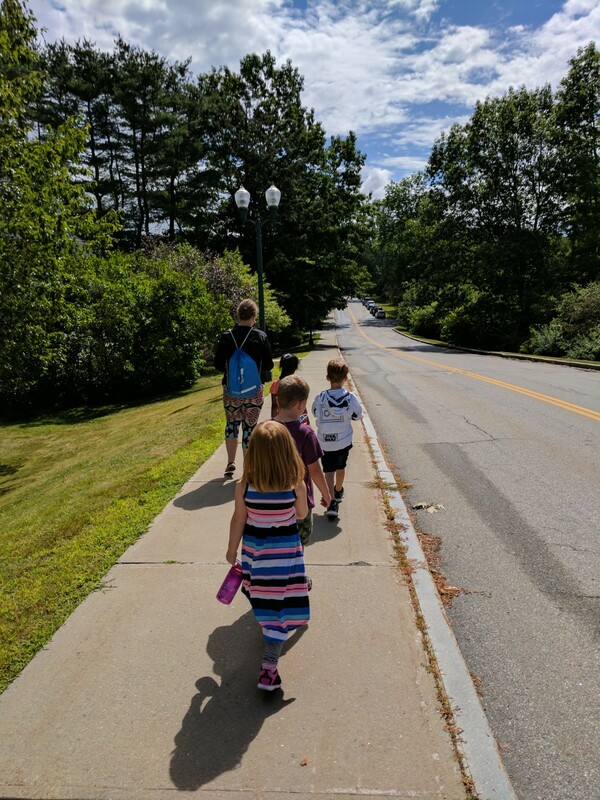 We can improve the health of those in our community by getting them to walk. Through educating, promoting and taking action we can make our community healthier! Let’s step it up – together as a community! 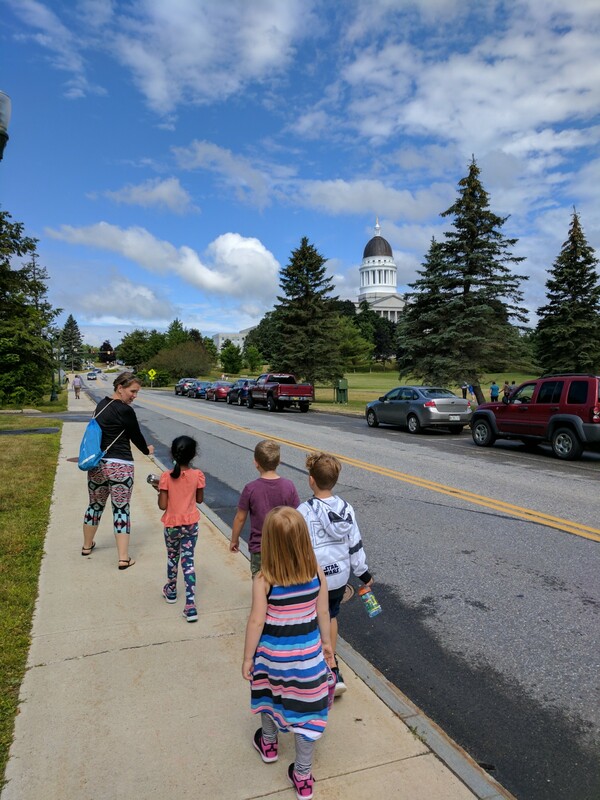 To encourage walking in our community, the KV YMCA has decided to share the findings of our walkability study, educate people on the benefits of walking and promote the wonderful resources we have. But we can do it alone, we need your help, you are the next piece to the puzzle. Help us to support walking where we live, learn, work and play by asking your co-worker, neighbor, friends and family out for a walk.